Protecting Your Information: Credit card numbers, or any other personal information, should never be emailed. If you would like to make a credit card payment over the phone we would be happy to assist you. NYS 529 Deduction Deadline: NYS 529 education deductions have to be funded before Dec 31 in order to be claimed on your 2017 tax return. The contribution limit is $5000 for an individual, $10,000 for married filing joint. 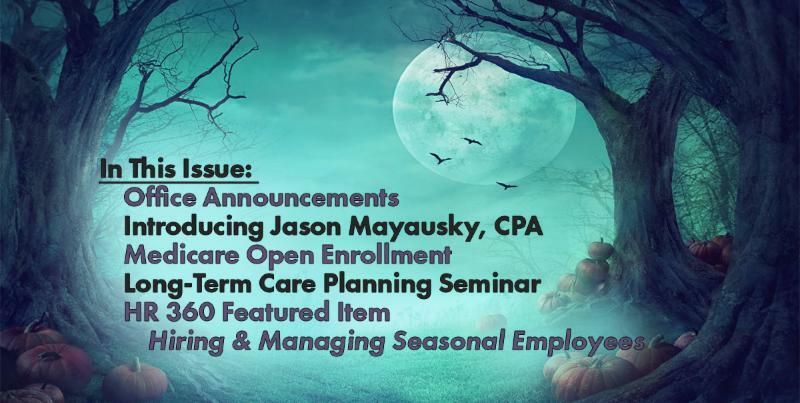 Payroll Quarterlies: October Payroll Quarterlies will be posted to your business portal by November 5, 2017. Allied Financial Partners is excited to announce that Jason J. Mayausky, CPA has been promoted to partner! A certified public accountant in New York and Ohio, Jason received his Bachelor of Science in Accountancy and Master of Business Administration from John Carroll University. 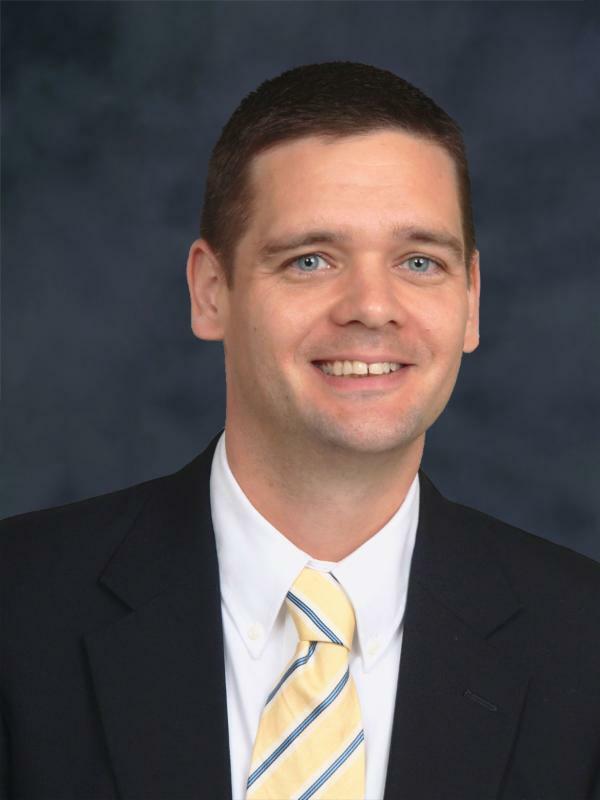 In addition to over 14 years of experience serving a wide array of clients and industries, Jason has also served as an adjunct instructor at John Carroll University, Cleveland State University as well as locally at Nazareth College. Since joining Allied Financial Partners this past Spring as Director of Audit and Accounting Services, Jason has been working to expand our financial statement audit, review and compilation service offerings. In addition, Jason has significant experience providing value-added projections, valuations and business planning services. If you are interested in learning more about these services please contact Jason directly at (585) 410-6733 ext. 144 or email him at jmayausky@alliedfp.com. We are confident that Jason will facilitate growth and development within his team as well as our firm as a whole which will in turn raise the level of service that we are able to provide to our clients. Medicare Open Enrollment runs from October 15 - December 7. During this time you have the opportunity to reevaluate your Medicare coverage and to make any necessary changes to your plan. Why is an annual review of your Medicare coverage a necessity? you with your Medicare coverage? Together we will explore what coverage solutions most appropriately meet your unique needs. 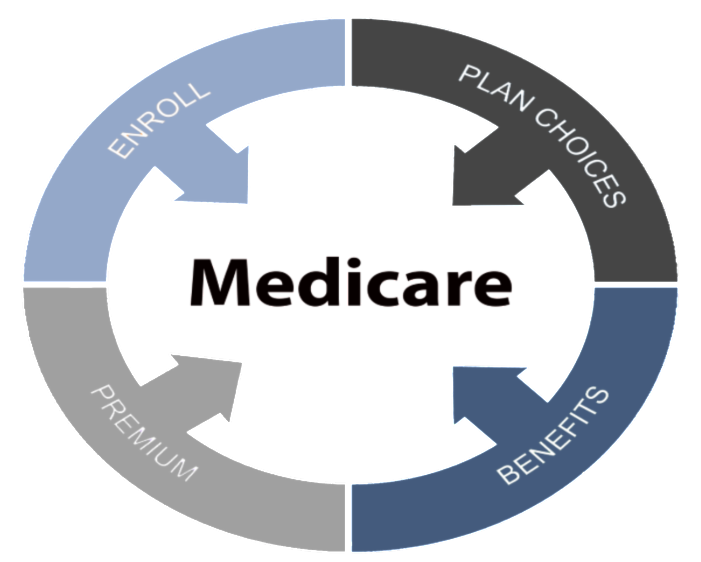 We will also provide you with support and resources so that you can understand the benefits Medicare has to offer, while becoming confident with any decisions you make regarding your coverage. If you, or someone you know, would like to discuss Medicare coverage reply to this email or contact Christian Nikodem at (585) 410-6733 ext. 132. Click here to RSVP or call Andrea at (585) 410-6733 ext. 103 by November 10. HR360 is an interactive online human resource library that gives you access to attorney reviewed HR tools, guidelines, forms, training videos and so much more. If you would like information about how you can subscribe to HR360 please contact Teresa Solano at (585) 410-6733 ext. 123 or via email tsolano@alliedfp.com. Is the content of this email relevant to you? We want to hear from you!! This eblast is written for the benefit of our clients. Please reply to this email with any topics of interest, questions or concerns you may have and we would be happy to address them. Allied Payroll Services is bonded. Securities offered through Cambridge Investment Research, Inc. a broker-dealer, member FINRA / SIPC , Investment Advisor Representative, Cambridge Investment Research Advisors, Inc. a Registered Investment Adviser. Cambridge does not provide tax services. Accounting, Payroll, Fixed & Health Insurance, and HR Services are offered through Allied Financial Partners. This communication is strictly intended for individuals residing in the states of AZ, CA, CO, FL, IL, KY, MA, MD, NC, NY, PA, TN, VA and WA. No offers may be made or accepted from any resident outside the specific state(s) referenced. Cambridge and Allied Financial Partners are not affiliated.